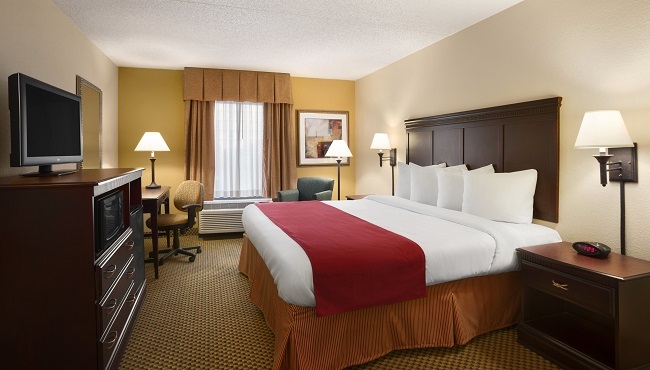 Wake up bright-eyed and ready for adventures thanks to comfortable beds and convenient amenities at the Country Inn & Suites, located in the Baymeadows community of Jacksonville, FL. You can use the free high-speed Internet access to learn about area attractions, and keep up with local news by watching the 32-inch flat-screen TV. Store leftovers in the mini fridge and heat them in the microwave while you finish your work at the desk. Traveling with a group? Double and King Suites are also available with additional perks, such as a living area with a sleeper sofa, to provide more sleeping space. A perfect choice for families and groups, this room has two comfortable double beds to ensure everyone has a great night's rest. On a romantic getaway with just the two of you? 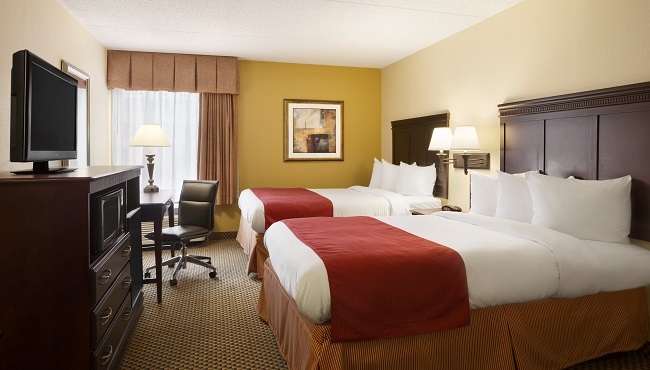 Reserve our Queen Standard Room for one queen-size bed and all of our stellar standard amenities. Wake up feeling refreshed and energized when you choose this room with a plush king bed. 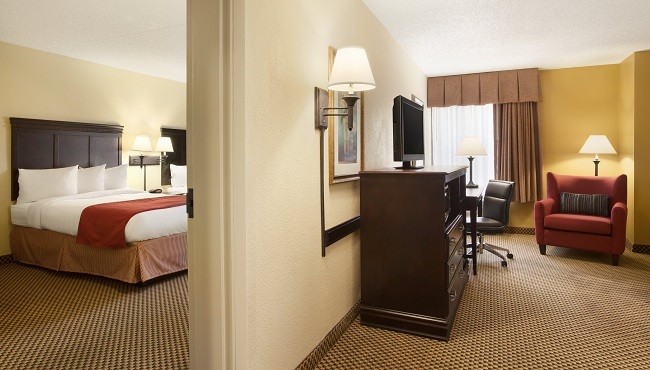 For a family-friendly hotel room in Jacksonville, consider this spacious suite that includes all standard amenities and a few extra perks. 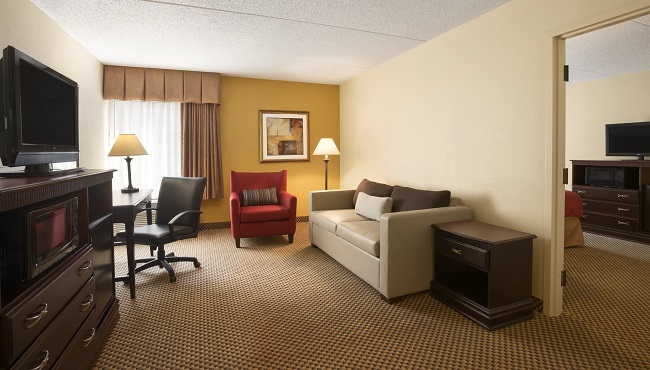 Relax in this suite after a busy day in Jacksonville. Our King Suite provides an extra full bath and a sleeper sofa, making it ideal when you’re traveling with children.